I want to tell you about a new alley photo walk series, which we’re beginning in Northside, this Saturday. Two weeks later, we head out to Mt. Auburn for the second alley photo walk of the year. We will be documenting all of Northside’s illustrious alleys, in order to start an inventory of more than 400 of Cincinnati’s alleyways. Spring in Our Steps will then be able to offer data to the public about each, and can prioritize cleanup and community building opportunities. We will reconvene at Sidewinder Coffee Tea + Spirits, to upload our photos to one computer. Don’t worry–you will absolutely get credit for your work, if/when we repost photos, per individual approval. 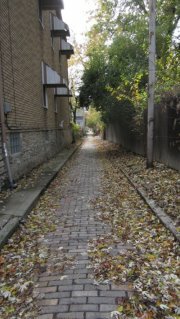 We will be documenting all of the alley in Mount Auburn, particularly throughout Prospect Hill, to continue building an inventory of more than 400 of Cincinnati’s alleyways. We will reconvene at Iris Book Cafe, to upload our photos to one computer. Don’t worry–you will absolutely get credit for your work, if/when we repost photos, per individual approval. I keep finding the damn things just tagged as service roads! If it’s anything I can help, we’ll have information ranging from paving type, lane width, curb type, length, and slew of other conditions. How do we know when it’s over? 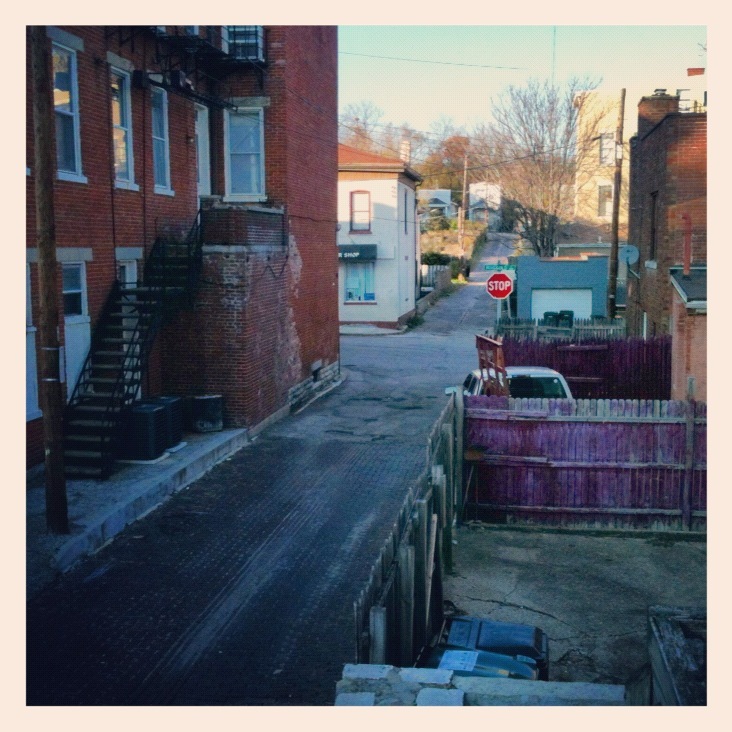 This entry was posted on February 5, 2013 by C. Huelsman in Alleys.